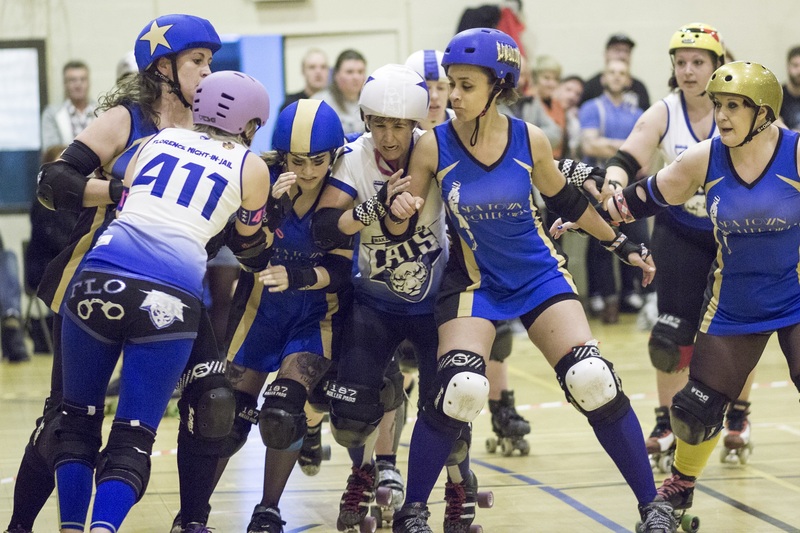 VICTORY escaped Wakey Wheeled Cats in the dying minutes of their away game against Harrogate’s Spa Town Roller Girls on Saturday. In a heart-stopping, nail-biting game, the two teams showed themselves to be all but equal in skill and determination in one of the Cats’ closest games to date. 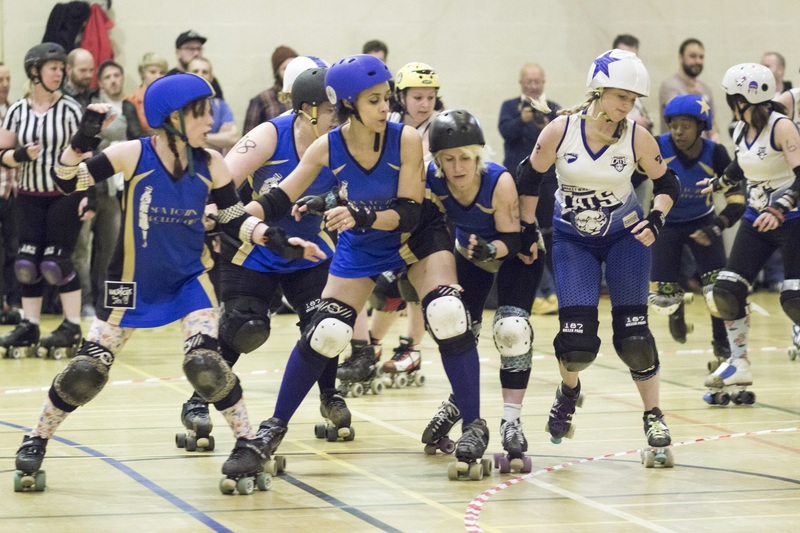 Wakey were able to gain an early lead and were up 40 points to Spa Town’s 25 fifteen minutes into the first half, with strong jamming demonstrated by Janine Hubbard and first time a-team skater Katie Walker. Tight defensive walls from the Cats were able to contain Spa Town’s jammers for much of the first half, but they soon fought back, taking their score to 45 to the Cats 52 with eight minutes remaining in the first period. Spa Town were able to edge even closer, bringing the scores within four points of each other before their jammers took two consecutive trips to the penalty box, allowing Wakey’s Katie Swift and Vicki Gray to wrack up unchallenged points, leaving the scores at 72 to Wakey, and 59 to Spa Town at half time. The Harrogate team came out fighting in the second half, and a penalty for Wakey’s Hubbard meant they were able to gain ground on a power jam. But Wakey weren’t sitting back, and soon their score was at 94 to Spa Town’s 82. 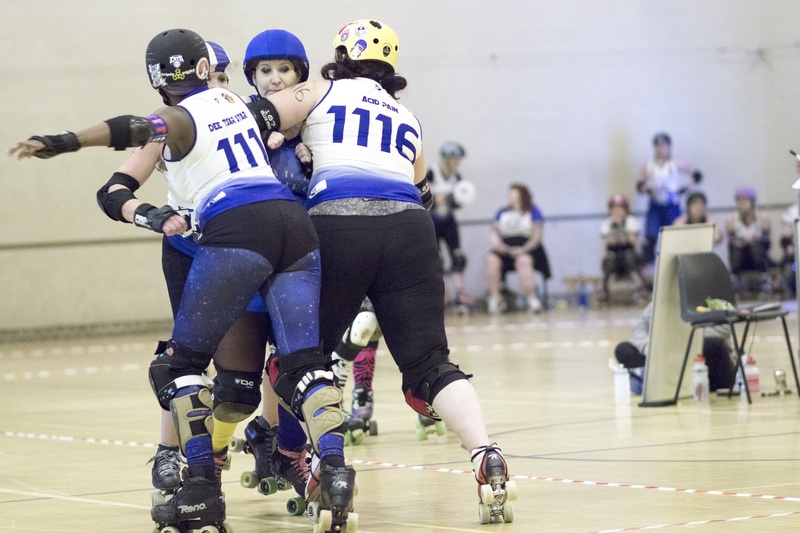 However, it was Spa Town who were able to hit three digits first, with big hits proving too powerful for Wakey’s jammers. The tide turned for the Cats after 15 minutes of the second period, with Spa Town creeping ahead and making the most of every slight gap in Wakey’s defence. 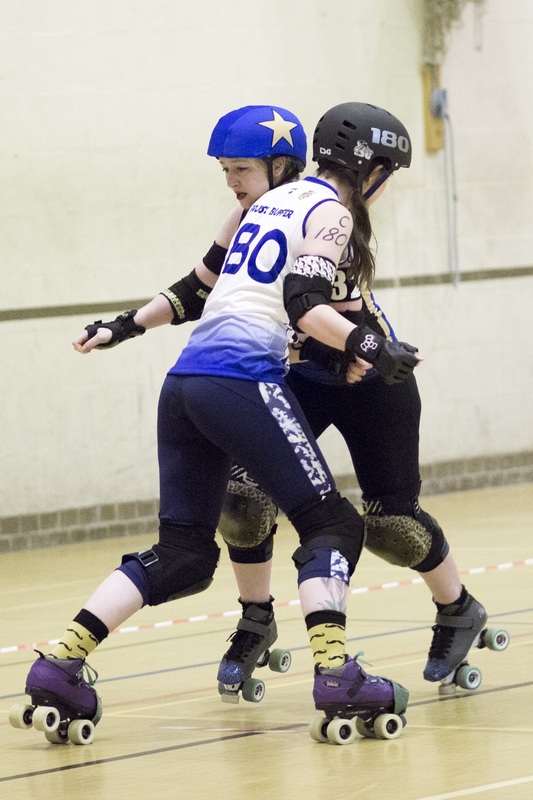 Key to their success was continued gaining of ‘lead jammer’ status – becoming the first of the point scoring players to break through the pack, allowing them to control when a jam was ended. Wakey were able to gain ground in the last ten minutes of the game, bringing the deferential to just one point, with Spa Town on 122 and Wakey on 121. With six minutes to go, Wakey’s Katie Clayton gained a lead change for the Cats, scoring two unchallenged points and 123 to Spa Town’s 122, but huge hits from Harrogate blockers on Wakey’s Diana Bracewell meant that Spa Town soon recovered the lead. A powerjam for Clayton took Wakey’s score at 130 to Spa Town’s 136 with just a minute left on the clock, but Spa Town were able to score five more points in the final jam to secure victory as the time on the clock died. The Cats had been predicted to lose, with stats giving them just a 12 per cent chance of winning. Keeping the score differential so tight meant Wakey rose 18 places in the European rankings after the game. Cats awarded grant for new team uniform.